Lisa Beth Older is a highly-experienced and seasoned divorce and custody attorney. She was admitted to practice law in the State of New York in June 1986; admitted to practice in Federal Court: the United States District Court, Eastern District of New York, on December 9, 1988, in the United States District Court, Southern District of New York on May 23, 1991, and in the United States District Court, Northern District of New York on August 29, 1997. Sustaining Member of the New York State Bar Association and member of Family Law Section. Member of New York County Bar Association. Member of New York City Bar Association. Member of Saugerties Bar Association. Served as Democratic committee woman for 10th District of New York. Served on the 18 B panel in Kings County New York for four years, aiding the indigent. Published several articles on the law that appeared in newspapers and appeared multiple times as a legal analyst for multiple news television stations and NPR radio. Matrimonial, appellate and family law lawyer since 1986, experienced in divorce, custody, Family Court and appellate practice (appeals). New York Trial lawyer handling hundreds of matters in Supreme Court and Family Court lawyer since 1986. New York trial attorney handling, participating, appearing, prosecuting or defending literally hundreds of matters in New York Supreme Court, New York Family Court, New York Criminal and Justice Courts and Appellate Courts since 1986. Emphasis on divorce, custody, prenuptial agreements, negotiation of separations agreements, Family Court, family law and custody appeals. Past Executive Director of the Girls Club of America Santa Monica (4 years). Wrote and appeared on her own television show concerning matrimonial law which was aired on public access television in New York. 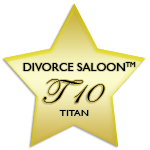 Recognized as one of the top NYC Divorce lawyers. Lisa Beth Older is a current member of the New York City Bar Association, and is a sustaining member of the New York State Bar Association, she has been a member of the family law section, and has in the past been an active member of the Ulster County Bar Association, the Saugerties Bar Association, and the New York State Association of Criminal Defense Lawyers. She served on the Law Guardian Panel for a term of four years and the 18-B Panel for four years. She has also served on the Membership Committee and the Judiciary Committee of the Ulster County Bar. Lisa Beth Older served as a delegate for her party and was later nominated by her political party to run for town judge. As to her matrimonial and family court practice, Lisa Beth Older, Esq. has handled each and every aspect of a divorce, separation, custody and child support matter, even if necessary through to the appellate division levels. Lisa Beth Older has successfully handled several prenuptial Agreements and Postnuptial Agreements. She has successfully mediated countless separation and divorce matters. She has handled countless child custody, child support and all other family law related cases in the Supreme Court of the State of New York and in the New York Family Court State of New York from inception to trial or Fact-Finding, including at times dispositions on appeal. These cases involved issues of custody, visitation, paternity, child support, equitable estoppel, challenges to paternity, equitable distribution, alimony and maintenance, grounds, and further involved appearing in court conferences, conducting depositions, attending depositions, and participating in trials, hearings, and preparation of pleadings. Matrimonial cases also entail dealing with several issues and Lisa Beth has had first hand experience in dealing with all aspects of a divorce or custody case, including but not limited to complex or complicated factual situations, filings, motions, discovery devices, subpoenas, separation agreements, stipulations of settlement of settlement of divorce issues, QDROS, decisions, judgments and post judgment enforcement actions. She has by virtue of the above divorce, custody, family related cases and family law related appeals, worked closely with certified financial forensic accountants in the evaluation of professional licenses, pensions, businesses, enhanced earnings capacity and real estate valuation, the above divorce, custody, family related cases and family law related appeals, worked closely with certified financial forensic accountants in the evaluation of professional licenses, pensions, businesses, enhanced earnings capacity and real estate valuation. In her capacity as a family Court lawyer she has successfully handled matters one might not normally associate with family practice, such as Article 10 neglect and abuse petitions and hearings, juvenile offense hearings, guardianship hearings, and unusual custody and visitation hearings brought on by third parties or grandparents. She has handled paternity challenges as well. As for her appellate practice, her writing has been the subject of much praise. Her passion is for successful prosecution of appeals, both as appellant's counsel and Respondent's counsel. Her record is very good and her experience is impressive. She has written, co-written, produced or assisted in writing several appeals on diverse areas of law both presently in her position as an attorney of this law firm and prior to that, as a member of the 18-B Appellate Panel, Second Department, and as a law clerk for matrimonial firms in California. In New York she is currently working on her fourth (4th) New York Custody appeal, dealing exclusively on the issues surrounding custody, visitation and all ancillary issues thereon. As to custody appellate work, Lisa Beth Older writes excellent appeal briefs, is good in oral argument, has diverse experience in writing appeals in different areas of appellate review and has had unusually good outcomes in several cases, including in custody appellate law, but of course she may not guarantee any outcome in future work. Lisa Beth Older has extensive trial experience and is not afraid to go to court if the case so warrants. She defended and successfully prevailed on an appeal which was personally argued before the Appellate Division, Third Department in 2001 ZINDULKA v. ZINDULKA 284 A.D.2d 631 (2001) 726 N.Y.S.2d 173 GREGORY ZINDULKA, Respondent, v.CATHLEEN ZINDULKA, Now Known as KITTY CHARDE, Appellant. Appellate Division of the Supreme Court of the State of New York, Third Department. Decided June 7, 2001. This case is a current leading case on geographical relocation and custody. In 2009, in the Supreme Court Second Department State of New York, Lisa Beth Older won an appeal in the Second department on the issue of child custody. She prosecuted an appeal on behalf of a mother from an unfavorable lower court custody decision, and prevailed. The below case was decided on July 21, 2009. SUPREME COURT OF THE STATE OF NEW YORK APPELLATE DIVISION: SECOND JUDICIAL DEPARTMENT In the Matter of Alyse Larkin, appellant, v Caleb J. White, respondent. The above two cases that Lisa Beth Older prosecuted and defended have been regularly cited by other law firms in support of their respective positions on their cases. Lisa Beth Older has been very fortunate and lucky in her appellate work. As for work performed as an intern/law clerk for the Law Firm of Hulse and Sherwood, Santa Monica, California she worked on and prevailed on an appeal brief defending a matrimonial judgment finding the pivotal case that turned the case into a winner. Lisa Beth Older also assisted on research on a brief for the ACLU that went to the US Supreme Court and the ACLU prevailed. Kolender v. Lawson, 461 U.S. 352 (1983), is a United States Supreme Court case concerning the constitutionality of laws that allow police to demand that "loiterers" and "wanderers" provide identification. Lisa Beth Older worked also worked on two criminal appeals, one for the law firm of Short and Gas, and one on the appellate panel, State of New York, Second Department. Lisa Beth Older has now just completed and filed an appeal that deals exclusively with issues of "custody" and visitation which is now pending in the Second Department, Supreme Court, State of New York. Lisa Beth Older has now filed a Notice of appeal and is perfecting the Record on Appeal and Appellate Brief in yet another appeal dealing exclusively with custody issues in the Fourth Department, Supreme Court, State of New York. Lisa Beth Older is also a New York City legal analyst and Writer and is often called upon to appear on breaking news stories having to do with divorce, custody or appeals. She has appeared on television nationally on countless occasions on such shows as Fox, MSNBC, ABC news, Fox and Friends, Montel Williams, National Public Radio, Joyce Brothers, Entertainment Tonight, CNN, Dr. Joyce Brown, and other such shows. She has been uniquely quoted by major newspapers around the world on issues concerning the court system and children. All of these shows on custody and appellate practice in New York have involved her rendering and legal commentary on several issues, including the Anna Nicole Smith story. Lisa Beth Older also broadcasted a popular TV program on Divorce Law in New York. She co-authored a popular well-circulated DVD on Divorce Law in New York, containing valuable consumer information (not advice) as to the issues one might find in a divorce case in NY. She authored of several published articles on divorce, family law, and custody and on constitutional issues surrounding family law. She also has experience in criminal Law as well. Criminal law is an area of law that often comes up in divorce and family offense matters in both New York Supreme Court divorce cases and Family Court custody cases. Lisa Beth has her trial feet wet in this area of law which is extremely important as these issues frequently arise in New York divorce cases in Supreme Court, New York custody cases, and New York cases on appeal. After handling hundreds of cases involving family offenses, assault, juvenile Delinquency hearings, criminal vehicle and traffic matters and has tried dozens of these types of cases to verdict including a double homicide jury trial leading to the acquittal of the defendant. Further, she acted as co-counsel through to verdict on four (4) murder trials, two of which were high profile cases, and on two other felony trials involving burglary and narcotics. As to her other cases, she has appeared in Federal Court and she has performed outside of court as well, where most cases should start in an effort toward negotiation, mediation and settlement. In that context, she negotiated contracts for major corporations, appeared in civil actions, and drafted pleadings, motions, correspondences, and memorandums of law; Appeared in special proceedings, civil forfeiture actions, actions for evictions and complaints for moneys had and received; Represented defendants against claims brought by the New York state Attorney General's Office regarding Wic fraud; Brought actions for fraud and adverse possession through to judgment; Defended clients in eviction actions brought by the City Housing Authority; In the capacity of corporation counsel for a large steel manufacturing company, she successfully handled their commercial and collection defense work for a term of one year, including defense work in local justice Courts, Federal Court, Supreme Court and County Court. Secured program funding through CETA and other grants; campaigned to raise community interest in building fund; developed children's after-school programs; directed and supervised large staff; attended board meeting.